Square quilting in polyester fabric brings to mind simple, chic elegance. 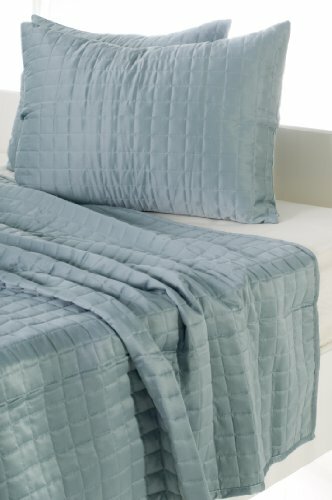 This luxurious quilted bedding is available in array of colors to satisfy your design needs. These essential pieces are reversible which provides a versatile beauty for any home decor. Quilt Size: (1) 86" x 92", Standard Sham Size: (2) 20" x 26"
If you have any questions about this product by Rizzy Home, contact us by completing and submitting the form below. If you are looking for a specif part number, please include it with your message.